What do bartenders order when they get a chance to be on the fun side of the bar? I asked three of Whistler’s cocktail magicians for the summer edition of Whistler The Magazine. 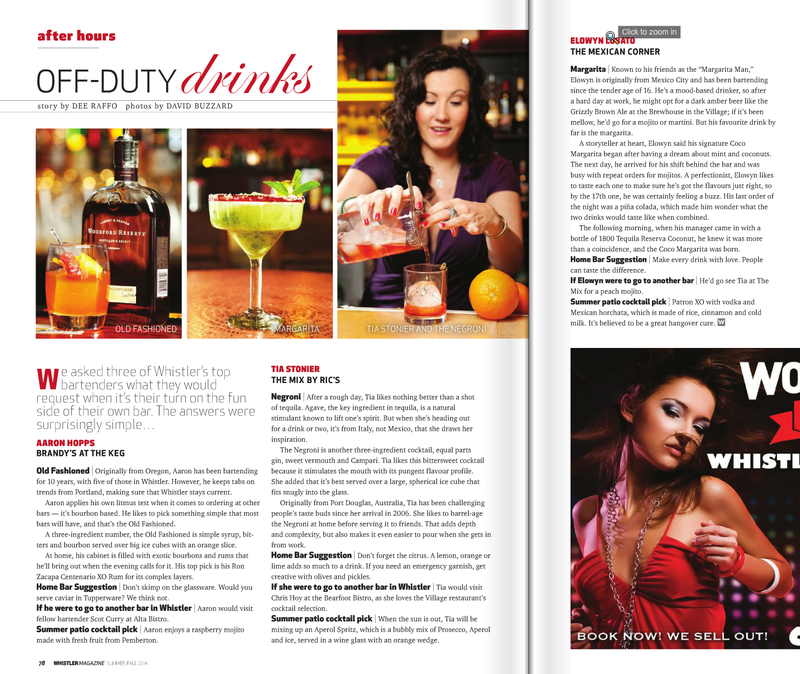 This entry was posted in Whistler and tagged apres in Whistler, bartenders in Whistler, cocktails in Whistler, summer cocktails, Whistler the Magazine. Bookmark the permalink.